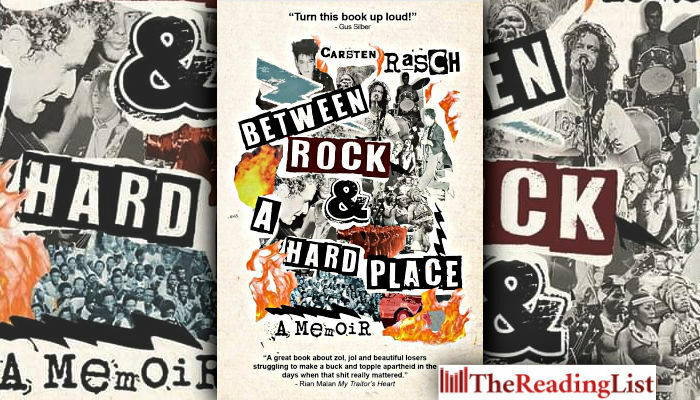 MFBooks Joburg and Love Books invite you to the launch of Between a Rock and a Hard Place by Carsten Rasch, ‘a survivor from the South African punk and new wave scene of the eighties’. Rasch will be in conversation with Charles Leonard, Arts and Culture Editor, The Conversation Africa. Rasch’s irreverent memoir uncovers the counter-culture punk and new wave scene of the late seventies and early eighties. As a drummer and intrepid music promoter, he explores the tumultuous times, veering between lucid moments of desperate innovations and psychedelic adventures teetering on the rim of sanity. Between Rock and a Hard Place is a blow-for-blow account of the South African rock and roll story, told from beneath the underbelly. Don’t miss this one!